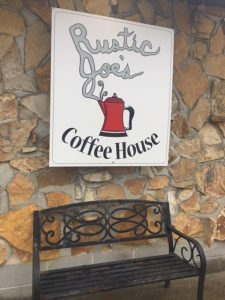 A big Crimson Cup welcome to Rustic Joe’s Coffee House! 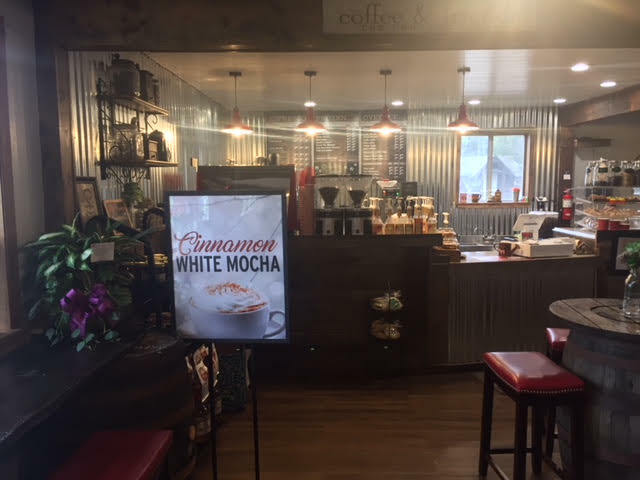 The shop at 4983 National Pike in Markleysburg, Pennsylvania was one of 20 new independent coffee shops that opened in 2017 through our 7 Steps to Success coffee franchise alternative program. Rustic Joe’s can be found in the main building of Leber’s Log Cabins, a family business established in 1932 by Roy and Frances Leber, two Midwest brothers of German decent. They fell in love with Pennsylvania’s Laurel Highland Mountains, purchased land and turned local timber into log cabins. Located along scenic Route 40 – also known as The National Pike – the cabins and new coffee house are near the borders of Pennsylvania, Maryland and West Virginia. The new coffee shop serves a full menu of hot, iced and frozen espresso drinks – including mochas, lattes and cappuccinos – as well as iced coffee and tea, cold-brewed coffee, hot chocolate, fruit smoothies and other custom drinks. Its signature drink is the Rustic Joe’s Mocha, which melds white chocolate, caramel and steamed milk with an espresso base. A variety of locally baked goods round out the menu. Cupcakes from the Mountain Cupcakery attract customers from all over the area. We look forward to a long and profitable relationship with the Lebers and their team . To learn more, follow the Rustic Joe’s Facebook page.